With discounts on a wide variety of models—including used Toyota SUVs—you’re sure to find the ideal vehicle. Figure out you budget ahead of time. Make a list of features you’ll need like three-rows of seating or high fuel economy. Research different models and see how much they cost to own. Compare our low prices with other dealerships in the area. 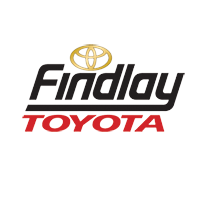 Explore other tips about used car shopping before you browse Findlay Toyota’s pre-owned vehicle offerings.